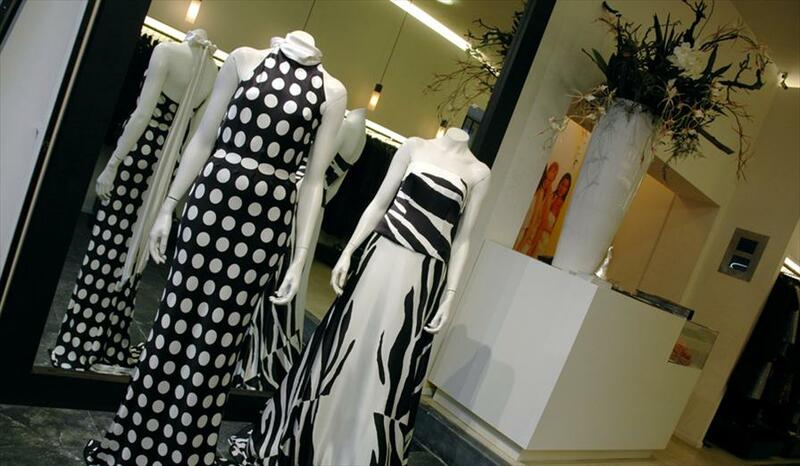 Addy van den Krommenacker - Ladies fashion in Den Bosch. Here you’ll find all creations of couturier Addy van den Krommenacker. You will find of course his famous dresses, but also wearable clothes for the daytime. The selection includes skirts with cashmere cardigans, dresses with matching jackets and accessories like shoes and belts. The garments from the collection of Addy van den Krommenacker are all made of The finest fabrics like silk, chiffon and lace. The fit is very nice and always very feminine. The store is very accessible and friendly. You can have a look around at your own pace and of course there a number of fitting rooms. The All garments in the collection are designed and made by Addy van den Krommenacker in one of his studios in Italy.